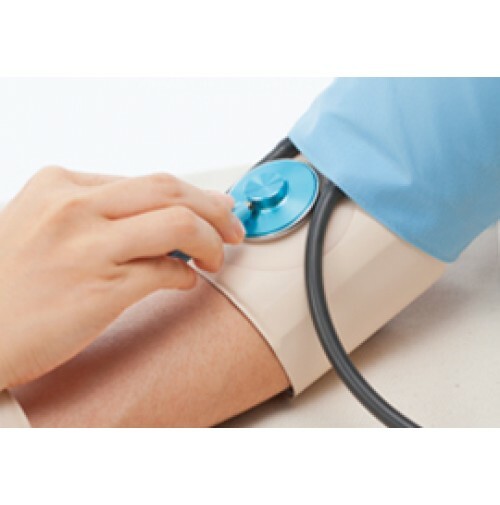 To take the blood pressure properly, To listen to the sound by stethoscope correctly. 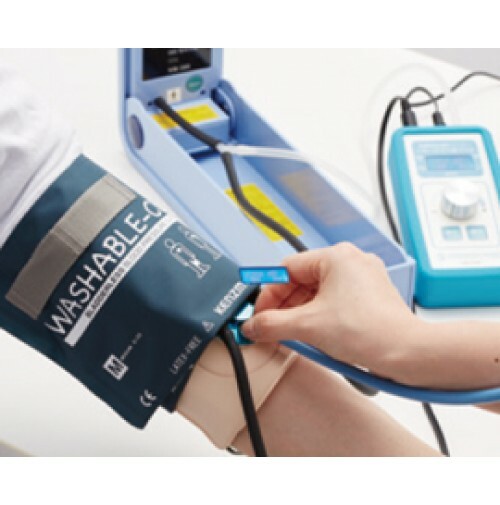 The industry’s first wearable Blood Pressure Simulator. 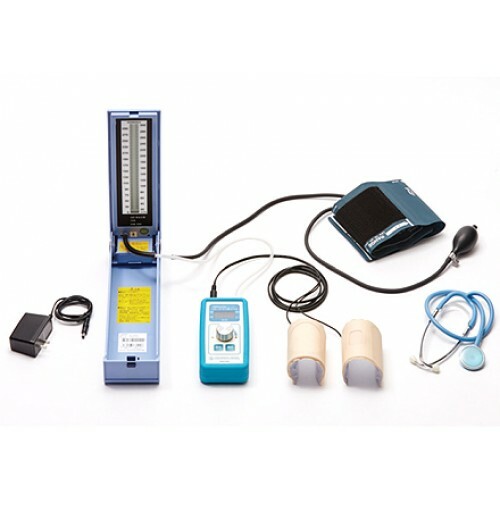 ＊Standard unit does not include sphygmomanometer. 1. Fit simulated skins to the part of blood pressure and pulse. 2. The pulse palpation on radial artery is possible. A screen display is very simple. 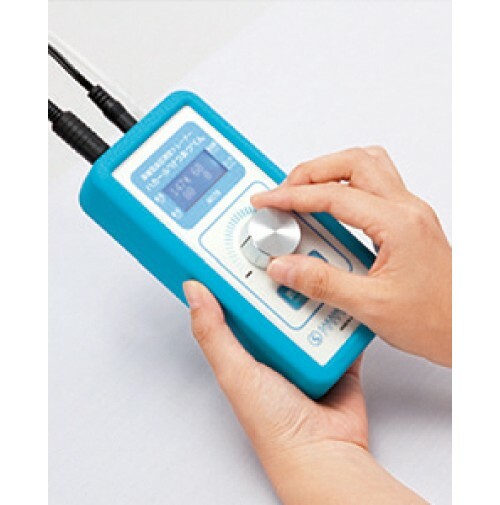 You can operate it easily by button and knob. Self-training is possible by fitting the simulated skin on New TOMOKO - Nursing Training Manikin (M102) or Arm for Simulator (M182). It is useful for repeated practice.